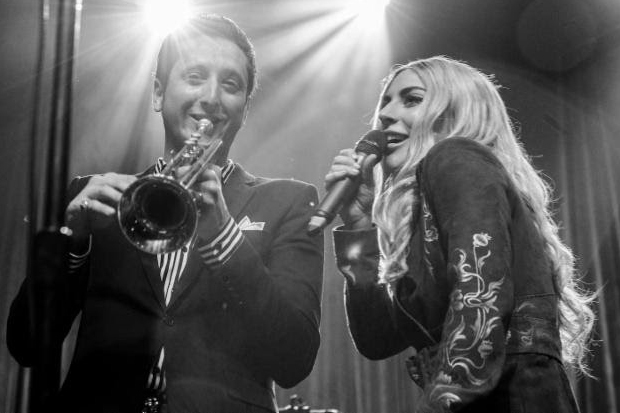 Gaga’s appearance was a far cry from the pageantry of her own stage shows, but she performed with absolute confidence in the most intimate setting. Dressed in flowing gowns and wearing a different wig on each night, she danced around the band and engaged in some banter while serving fierce vocals. She may have left behind jazz to return to her pop roots on Joanne, but the genre remains a comfortable place for her to inhabit. As she proved with last year’s Dive Bar Tour, Mother Monster remains one of pop’s most versatile acts. Whether she’s filling arenas or jamming on smaller stages, she is always capable of delivering. Fans who missed out on the shows in Boston may be in luck. Newman and the “Perfect Illusion” siren will both be stopping in Philadelphia for shows on September 10 and 11. Perhaps Gaga will make another appearance after wrapping up her own sets at Wells Fargo Center? Check out some footage of the pair’s performances below. Did you love Gaga’s set? Let us know below, or by hitting us up on Facebook and Twitter!